Are you heading to the Gooding and Company’s Amelia Island auction starting on Thursday, March 7th? We’ll see you there! 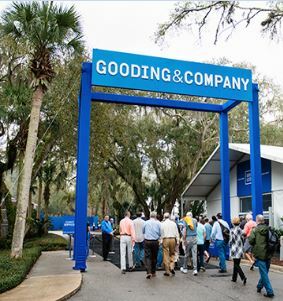 We have been partners with Gooding and Company for many years and look forward to servicing you at the Amelia Island auction. We are the most trusted automobile carrier in the industry. Don’t believe us? Ask Gooding and Company’s Vice President Morgan Carter who has said: “There isn’t another company out there I would recommend more than I recommend Intercity.” Still not convinced read more great testimonials here or visit our Instagram for a glimpse behind the scenes! We are the official car carrier for the auction and will be providing enclosed, door-to-door, auto transport to and from the event. We will have a booth on site to ensure you have direct access to plan the shipment of your new vehicle. Our professional staff will work with you and answer any questions you have to ensure the safe transport of your new and beloved vehicle! Call 800-221-3936 or email Jim at jim@intercitylines.com to schedule your car’s trip to or from the Amelia Island events. See what Gooding & Company’s Vice President; Morgan Carter has to say about Intercity Lines!